Would you like to maximise storage space while minimising costs? Do it today with archive storage solutions from Elbowroom. 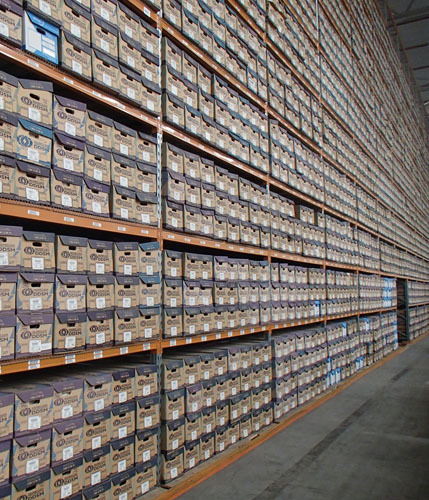 We provide archive and warehouse storage solutions for offsite, onsite, boxed and open files and documents. As a trusted and approved supplier to National Archives of Australia, Queensland State Archives, and many private archival storage providers, Elbowroom is Australia’s leading expert in archive storage. 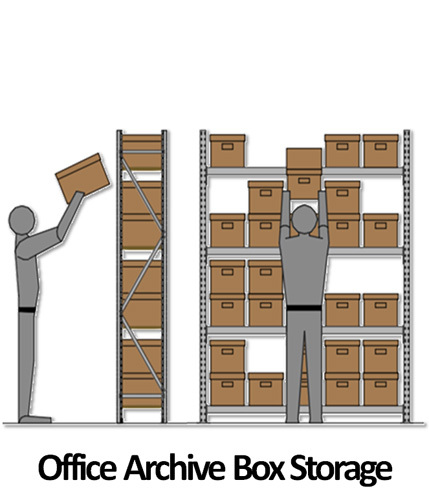 Whether you need high rise storage solutions that utilise narrow aisle pallet racking components, or open file systems for those documents that need to be easily accessible, we have the solution for you. With our expertise and wide range of available systems, we can help you make the most of your space. Get everything you need in one go with our comprehensive range of products for document storage. Aside from our shelving systems, we also offer security crates in various sizes. These crates have internal hanging rails for files and lockable lids. They are also stackable when closed, making them perfect for the transportation and long-term storage of important documents. At Elbowroom, we specialise in warehouse shelving and storage solutions suitable for holding archive boxes. You can count on us to take care of you from start to finish and we always complete our projects to the agreed time frame. We also provide ongoing services for maintenance and repairs after the original job is completed. Whether you require high-frequency or low-frequency access, there is an archive storage system that suits your needs and budget. Call us now on 1800 810 331 and we will help you find it.